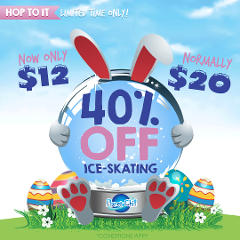 Buy NOW or Skate LATER & SAVE 40% off the regular price for a limited time! We invite you to come get a little messy making your very own gooey slime! Have you ever watched a magician and wondered, how did they do that? Here's your opportunity to learn magic and amaze your friends! 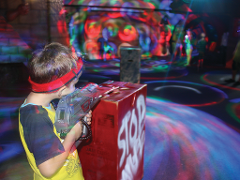 Battle your friends or family to a game of Laser Tag in our Zone 4 Kids Club. 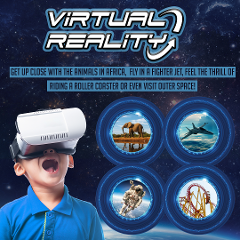 The Virtual Reality Roller-Coaster is a new age experience for the young and old! 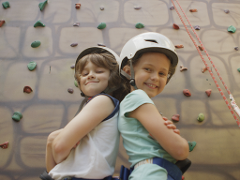 Challenge yourself on our 9-metre Rock Climbing Wall. There are 3 degrees of difficulty to suit novices through to experienced climbers. Ages 7 & Up. Keep your crafty kids entertained with our Teddy Bear workshops. 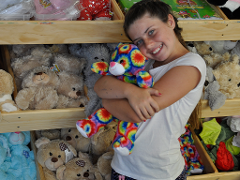 Create and customise your own bear from $30* including an adoption certificate, colourful heart insert and carry case. Prepare to be amazed! Step into another dimension with your very own 360-degree virtual reality experience. Strap yourselves in for a wild Adventure! Experience some of our most popular attractions and enjoy incredible savings with Dusty's Adventure Pass 2. 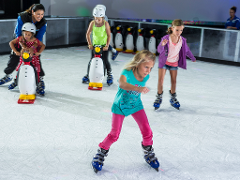 Planet Chill Ice-Skating Rink is an all-weather attraction which lends itself to family fun, all year round, whatever the weather and catering to kids big and small (even the adults). 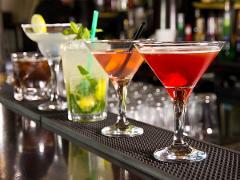 You don't need to be a cocktail connoisseur to enjoy this game but if you can guess the ingredients you can have fun with the rest! 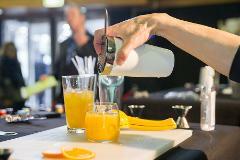 Join us in the adults area to test your bartending and trivia skills.